by Lawrence Thornton | Literature & Fiction | This book has not been rated. 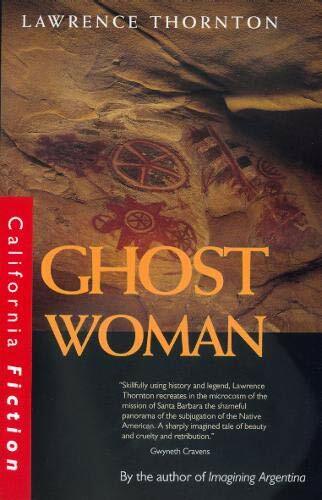 This story appears to be based on a living myth, in the Santa Barbara region, about an indian woman who lived alone on an island for ten years after her people have been abducted by the whites. She then was salvaged, so to speak, by an ambitious priest, who wanted to convert her as a shining example of his unrelenting efforts to spread the word of christ among the savages. She was raped by the people she came to live with, and her child was taken away from her. The myth tells that after her suicide, she drove the culprits to their untimely deaths. As a matter of fact, I became quite irritated by the total lack of resistance during her lifetime, or that of her friend, Elizabeth. Both of them are pushed around by the men in their lives and neither of them does anything about it, other than complain to eachother. No thrilling ghost story, no 18th century heroines, quite a disappointment, rather.